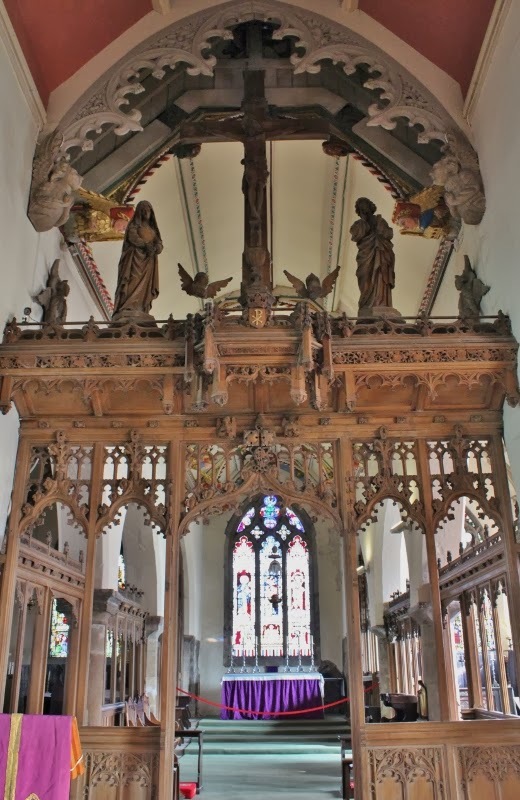 The Rood Screen in All Saints Church North Street dates from the 1920s, and shows St John and St Mary on either side of the cross. Magnificent! And looks like someone is either getting a jump on Lent or observing Septuagesima. The latter I should imagine, this is a very traditional 'high' Anglican church. The detail here is lovely. Beautiful church.